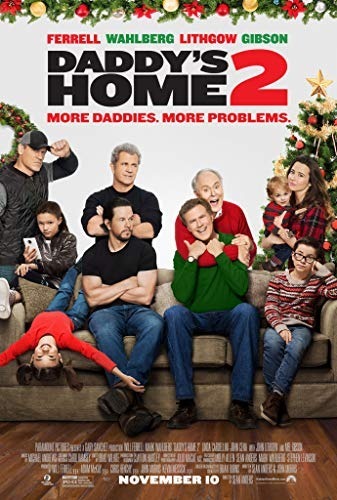 After finally becoming friends at the end of the first film, Brad Whitaker and Dusty Mayron have a co-dad system where Dusty's two children, Megan and Dylan, take turns at each father's house. Dusty has also remarried, this time to Karen, a writer, and is stepfather to Adrianna, Karen's daughter. Brad and Dusty decide to do away with having two separate Christmases and instead do one "together Christmas." Dusty's tough fighter pilot/astronaut father Kurt and Brad's overbearing and over-cheerful dad, Don arrive for Christmas. Megan and Dylan warmly embrace Don, since he is very present in their lives, while Kurt hasn't seen the children since they were toddlers. Through jealousy of the affection the children show to Don, Kurt rents a large cabin through Airbnb, to house all of them through the holiday week.